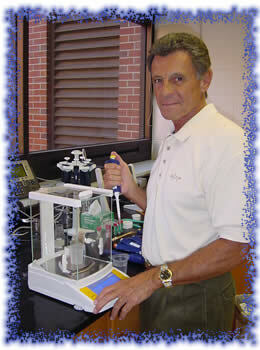 Bob Goshert, has been serving the laboratories in the State of Florida since 1994. We are located centrally in the state in St. Petersburg, FL. 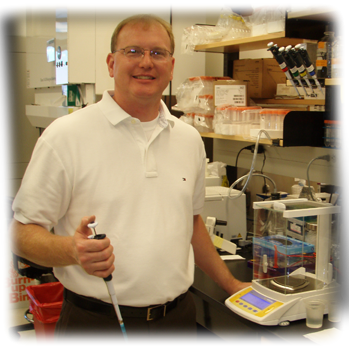 We travel to you and service the pipettes at your location so there is no down time as opposed to sending your pipettes away for service which takes usually one week or longer and avoids the stress of transportation on these delicate instruments. We use all original manufacture's parts for your pipettes and calibrate them using the newest Sartorius Balance, model CP64, for a full range gravimetric accuracy analysis. Mayo Clinic in Jacksonville, Fl. Shriners Children's Hospital in Tampa, Fl. Florida Fish and Wildlife Research Institute in St. Petersburg, Fl. Shands Hospital and Research Center in Gainesville, Fl. James Haley VA Hospital Research Center in Tampa Fl. U.S.Geological Survey, St. Petersburg, Fl. Moffitt Cancer Research Center, Tampa, Fl. U.S.Department of Agriculture, Ft. Pierce, Fl.